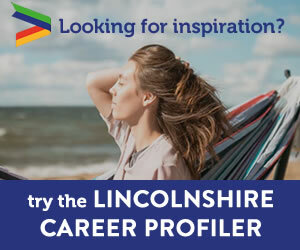 Are you an employer in Greater Lincolnshire? We would love to hear what you're up to. Lincoln College’s Air & Defence Career College provides employer-led, career focused education and technical training for 16 to 19-year-olds. Our employer supporters will work closely with us to provide this unique and innovative model, which is designed to create secure career paths in the RAF, aerospace and catering industries for young people. Launched in September 2016, at our Lincoln Campus, we have seen our students progress into exciting careers in the RAF, Anglian Water, Mercedes Benz, ITP Engineering and Minebea Engineering. In 2018 we anticipate the number of enrolled students to be 100. Our carefully designed study programmes, which have been shaped by our industry partners, offer a unique blend of academic education and technical training, infused with an additional focus on leadership, communication and team building. Our students will get involved with industry-set projects, co-designed by employers - equipping them to enter their career of choice, ahead of the game and ready to progress. Career College students will spend a significant proportion of time experiencing industry environments first-hand through an extensive programme of work experience. And industry experts will join their tutors at College to pass on their knowledge and experience. Core academic study areas like Maths, English and Science will be contextualised to the specialism of the Career College, digital skills development will be a major priority. Imagine making every drop of water count for over six million customers - from the Humber in the North to the Thames in the South; and from Daventry in the West to Lowestoft in the East. Imagine an incredibly complex and amazingly innovative company that’s shaping the future of a whole industry. That’s the reality of working with us here at Anglian Water. We’re in the business of ‘loving every drop’. That means making sure that 1.1 billion litres of clean and safe drinking water is delivered to homes and businesses, everyday using enough pipeline to wrap around the world three times! And the story doesn’t stop there: our Water Recycling Service teams work hard to collect and treat used water from 2.44 million households. So we really are a company for all types of skills, built on people from many different backgrounds. The success of our company is built from having inspiring, creative leaders at all levels of the business. Because we believe that leadership shouldn’t – and doesn’t – come from the top alone. We need energising leaders in all parts of the business. That’s why we invest heavily in developing internal excellence through leadership development programmes – combining internal and external training with a review process – to identify and develop talent at our company. Our global employee development programme (GEDP) is the cornerstone of our people strategy and fosters leadership development by managing the performance, potential, development and careers of our people. This approach to talent management not only creates career opportunities for those who strive to develop their potential. It also ensures we develop a pipeline of talent ready to occupy senior leadership positions. Developing tomorrow’s leaders is also about providing excellent learning opportunities. The work of our university plays a key role here, offering corporate leadership development programmes to nurture our future leaders. ABP is the UK’s leading ports operator with a unique network of 21 ports. In 2015 ABP and its customers handled over 92 million tonnes of cargo, including 30 million tonnes for export. Together with our customers, we support 84,000 jobs around Britain and contribute £5.6 billion to the UK economy every year. It’s a story we are proud of but it doesn’t end there. Our 5-year investment programme is worth £1 billion and will increase our contribution to the economy by £1.75 billion to £7.35 billion each and every year. Our investment is designed to respond to the needs of our customers whose businesses rely on our ports for access to international and, in some cases, domestic markets. Helping these firms compete on the global stage and protecting national energy security are key roles our ports play in the UK economy. Established in 1986 by brothers Agust and Lydur Gudmundsson, Bakkavor specialises in manufacturing fresh prepared foods and is a market leader in the UK, with a growing presence in the US and China. Today, the UK is one of the largest and most dynamic fresh prepared food markets in the world. We have long-term, strategic relationships with the UK’s leading grocery retailers – founded on decades of experience building our customers’ own-label brands in the fresh prepared food market. Our products, within the core UK Market, are grouped into four product categories: meals, salads, desserts and bread & pizza. In the US, we focus on the fast-growing fresh prepared food retail market specialising in meals and meal salads, dips, and soups and sauces. In China, we produce food-to-go products including fresh cut salads, wraps, sandwiches, soup, meal salads and fresh cut for a number of fast-growing Western food service operators. Bakkavor has over 35 manufacturing facilities across the UK, USA and China and employs over 19,000 people. We also run specialist Graduate and Apprenticeship Schemes. We have one set of values that describes how we work together and the behaviour we expect from every member of our team. These are Can Do, Teamwork, Innovation, Customer Care and Getting it right/Keeping it right. We have a strong track record of adapting quickly to market conditions and developing successful products in short lead times. We are passionate about food and employ experienced chefs to drive culinary expertise throughout the business. Working at Bakkavor isn’t about having a job; it’s about choosing a company where you can develop a career. If you share Bakkavor’s passion for great food and the company’s strong values you can expect opportunities, development and support to enable your career to grow. At Bakkavor we are never standing still and no two days the same. What do we do? Barkston Refinishing is a traditional bodyshop. That means that we are able to repair anything that is part of or attached to the vehicle body. This includes bonnets, roofs, glass, wings, doors, quarter panels, boot lids, sills, door mirrors you name it! All productive staff have been apprentice trained and qualified to city & guilds / NVQ3. David (Company Director) has been working on cars since the age of 11 when he first got behind the steering wheel of a 1956 Morris Isis and learned to drive around the yard at the family home. Apprenticed in 1971 for five years and still learning 37 years later , proud to have worked with some real tradesmen. During that time the job has seen many changes mostly good, but sadly some things not so. Every day brings a new challenge, sometimes frustration, but always satisfaction and pride. Andy has shadowed his brother Dave since he left school with a few variations of employers but shares the same love of the job. He joined Barkston Refinishing in May 1983 and celebrates 35 years with the company this year. Paul son of David was born to spray. Loves to paint something different and wants to hear from you! Normally nobody sees the efforts of his labour as his job is to repair the car so that no one can tell its been done. Give him something different to do and make him happy! We are a family orientated and run local Minibus & Coach company located just to the south of Lincoln in the village of Harmston. Our location gives us easy access to Lincoln, Newark, Sleaford & Grantham as well as surrounding areas. Established in 2009 with just one 16 seat minibus we have grown to operate a total of 17 vehicles of various sizes within our group of companies, offering a range of travel services from wedding cars & executive taxis through our coaches to double deck school buses. As a family business we offer a friendly and reliable service at a reasonable price meaning we have many repeat customers as well as large corporate & council contract customers as well. We operate 24 hours a day all year round and our vehicles are fitted with the latest GPS tracking units as well as many being fitted with CCTV which along with all our staff being DBS checked gives that added piece of mind to you the customer. New for 2016 is our Black Cat Garage offering not only our own vehicles higher standard of inspection & maintenance but also our customers vehicles can receive quality repairs & servicing as well as MOT preparation work. For more than 130 years, we have offered our associates around the world the opportunity to shape the future with a leading global provider of technology and services. Beneficial innovations that improve the quality of people’s lives, and save resources, drive our work. We encourage our associates to be individuals and see diversity as an asset. Our company enables its associates to strike a healthy balance between professional and personal aims, as we see this as a decisive means of promoting creativity and job satisfaction. This balance also shapes the foundation of our associates’ outstanding performance. Lifelong learning and a regular change of perspective are firmly anchored in our leadership culture. Our areas of activity are every bit as diverse as our locations around the world. Lay the perfect foundation for the future: With our preventive healthcare program, the company pension scheme, and other benefits. Our compensation for your work is not just good, it’s equitable. Pay structures at Bosch are fair and transparent. After all, we want to build a long-term, successful working relationship with you. We also add attractive benefits to your basic salary, such as our company pension scheme. And the more you put into your work, the more you'll get out of it — as part of our work bonus scheme. The Bosch benefit plan offers a simple, profitable system for company retirement benefits. To help you accumulate retirement savings, we offer company contributions. Additionally, you can contribute directly from your salary. The contributions are invested in stocks and interest-bearing securities. We are careful to provide you with a secure and sustainable investment strategy. Your savings will be available as additional income once you retire. But there are more ways we appreciate your work and encourage you to contribute your ideas. We have thus introduced our company suggestion system: Suggestions that deliver results, such as optimised processes or improved product quality, are rewarded with bonuses of up to 150,000 euros. The success we have demonstrated in gathering associates' ideas and putting them into practice received accolades from the Deutsches Institut für Betriebswirtschaft (dib) in 2008. At Bosch, we are committed to developing innovative, beneficial, and fascinating products and services. Enhance with us the quality of life worldwide, and leave a lasting mark on the world. Wherever you are — our team spirit is with you. Robert Bosch founded our company over 130 years ago, and we still live by the values he embodied today. Discover a culture that is based on respect and responsibility, and carry our values further. We love our business and our environment. Let's save them both for future generations. At the core of our DNA is social responsibility. That's why, with us, you can achieve business success and support social and environmental projects at the same time. Your diversity makes us special. Enrich us with your own unique personality. Everyone is different. We appreciate your individuality and believe that diversity is an asset for our company. Show us your way of thinking, and let us drive great innovations together. Boston College is the top performing college in Greater Lincolnshire, based upon national achievement rates, and is in a strong position financially. We are graded as good by Ofsted and 'A' level pass rates are 100%, with HE student satisfaction the joint highest nationally for the second consecutive year. As a general Further Education College, we provide training and education at all levels to anyone over the age of 16 and enrolled over 7000 students last year. We offer courses ranging from introductory taster sessions, through Foundation Learning (for people with mild to moderate learning disabilities), courses at levels 1 - 3 across our curriculum and on to Higher Education. We have campuses in Boston and Spalding in Lincolnshire and we attract students in an approximate 30 mile radius. We employ around 450 people in a range of full-time, part-time and bank roles with a turnover of £15m last year. We are Boston's second biggest employer. Boston College is part of the public sector. This means that our focus is on being a positive part of the local community and enabling people to make the most of their lives. Many of our former students tell us that the college has changed their lives. Many people would think of a College only employing teachers or lecturers but we have a very wide variety of roles at Boston College. In addition to our qualified academic managers and teaching staff these include learner support staff, counsellors, vocationally qualified technicians and qualified professionals in roles such as finance, funding, estates, health and safety and human resources. All staff are expected to put the well-being and development of the learners as their first priority as they carry out their roles. Extensive training and support is provided to help people excel in their roles and ensure we all reach our potential. Within our Small Animal Unit we have a range of animals and reptiles which need caring for 365 days a year so some staff will be in on Christmas Day looking after the welfare of snakes, not many employers can say that! Employees have the opportunity to transform people's lives every day and make a difference, whatever their role at the College. FE is a remarkable sector with constant new challenges and our supportive culture of respect and inclusion with a diverse range of colleagues from all backgrounds make Boston College a great place to work. The College aims to provide an excellent working environment enabling a good work-life balance. We employ a wide range of people across all ages and try hard to reflect the local community in our workforce. We don't just employ teachers - there are a huge variety of jobs within the College including estates, marketing, administration and management as well. There are opportunities to progress within both business support and teaching roles and we do look to promote internally where possible. We offer free access to a Health and Wellbeing service to all employees and together with generous holiday, sickness and pension schemes provide a supportive yet exciting place to work. Boston West is a 150-acre haven, set in the beautiful Lincolnshire countryside. With its stunning 18-hole golf course, well-presented clubhouse and 24-bedroom hotel, it is a premier venue for weddings, conferences and events. We are always on the lookout for talented and ambitious personnel to join our team. We believe that a passion for the role, and a desire to perform any task to the best of your ability, is every bit as important as qualifications and experience. We expect 100% from our team, and in return, you’ll be rewarded with a friendly and warm working atmosphere, and an opportunity to excel in a forward thinking company. Our Main Board members have a wealth of experience – from farming right through to retail – and they continue to set the strategic direction for the business. They’re supported by the Executive Board, whose diverse range of expertise helps them to take that direction and work out how to turn the plans into reality. And the whole thing is underpinned by the 700-strong team of people who keep everything moving – day in and day out. Whether running our factories and offices or looking after our growers and customers we’re all passionate about what we do and about how we do it. From maintaining our stringent Environmental Policy to ensuring that we provide safe and ethical working conditions for everyone in our supply chain through the UK Modern Slavery Act, everything we do is guided by a shared vision of ‘How we do business’. Supported by our values, this is what drives our actions every day. The relationship we have with every single one of our suppliers is incredibly important to us and we pride ourselves on our ability to develop partnerships based on mutual trust. It’s an extremely important part of our approach to business. We work with all sorts of suppliers: specialist niche growers supplying very small quantities, family farms, large farming businesses supplying huge tonnages, growers supplying in tight seasonal windows and overseas suppliers filling the gaps that our home crop cannot fill. British Steel, based in Scunthorpe, have a range of high quality steel products that go into a number of markets around the world. They also have a network of metal centres and service centres across the UK and Ireland enabling them to serve their customers quicker and more efficiently. Special Profiles - Special Profiles for earth moving, forklift, construction, shipbuilding and mining markets. Wire Rod - Wire rod for the automotive, construction, engineering and consumer goods markets. We want to work with our customers to fully know, understand and meet their needs. We want to build loyalty in the British Steel brand by being our customers’ first choice supplier, the one they trust, every time. With many recent changes across our business, now is a time to reinvigorate our relationships. We will show everyone that we mean business, that we are here to stay and that by working with our company – British Steel – we can all be sure of a stronger future. Welcome to Grafton Merchanting GB, an organisation formed in April 2008 to integrate Grafton Group’s GB merchanting businesses within a single structure. Grafton Merchanting GB is a major player in the builders and plumbers merchants industry because it brings together the majority of Grafton Group’s merchant subsidiaries in Great Britain. In total we trade from nearly 500 locations, employ approximately 4,500 staff and have a turnover in excess of £1bn. Our businesses or ‘brands’ are leading merchants and specialists in their own fields. These well-known brands are Buildbase, Civils & Lintels, Corgi Direct, Hendricks Lovell, Hirebase, Jacksons Building Centres, L&G Forest Products, PDM, Plumbase, Nationwide Drylining & Insulation, Secon, Electricbase and Sparesbase. Our success is built on having brilliant branch and support teams who deliver excellent customer service day in, day out. Our Apprenticeship Scheme is a way of introducing a new generation of future stars to our business and the opportunities we provide are worth serious consideration for anyone looking to begin or develop a rewarding career in a customer-focused business. Our Apprenticeship Scheme will give you an opportunity to gain a well-rounded knowledge of your chosen area of our business. You will be given all the on-the-job training, support and guidance necessary to complete your Level 2 qualification and establish yourself as an important member of our team. In addition to this, you will be earning £5 per hour - significantly more than you would on other Apprenticeship programmes. A chain of large holiday camps in the United Kingdom. Butlins was founded by Billy Butlin to provide affordable holidays for ordinary British families in Skegness. Butlins is one of the most recognised brands in the UK holiday market, offering short breaks all year round at three great British seaside resorts. Our founder, Sir Billy Butlin, opened his first resort in Skegness in 1936. Right from the start his aim was to bring colour and happiness to the lives of the nations’ hard working families. To fulfil this promise to his guests, he knew there should be ‘someone to look after them always’. So, our famous Redcoats were born, welcoming guests with a friendly smile, easing them into their holiday mood with a helping hand and a cheery word. To this day, our Redcoats take centre stage, but we believe everyone on the Butlins team should share this sunny disposition; a ‘nothing’s too much trouble’ attitude aimed at relaxing our guests and making them feel cared for. Our three resorts in Bognor Regis, Minehead and Skegness attract over 1.5 million guests every year, with many guests returning year after year. We know it’s our teams true intent to delight that brings them back. This is why we make it our top priority to hire the right attitude; those with natural ability to ‘host’ regardless of their role within the business. Carrington Communications is Lincoln's first truly digital PR agency, providing a range of PR services to startups and SMEs across Lincolnshire and the East Midlands. Founded in 2016, our fast-growing, results-driven agency now employs a team of PR professionals and works with more than 20 organisations. We create campaigns that are built on great ideas, communicated to the right audiences and through the right channels to help its clients grow. We combine time-honoured PR and journalistic skills with the latest SEO techniques and industry know-how. Carrington currently employs three PR professionals who bring a wealth of industry experience and expertise to the agency. Our team is solely made up of senior members of staff with backgrounds in broadcast journalism, international PR and digital marketing. We’re excellent communicators and writers who are dedicated to helping our wide range of clients to get their stories in the media and build relationships with the people that matter to them. Being a young agency, the experience that individuals can bring to the team is key and industry experience or a degree-level qualification in public relations, journalism, marketing or similar is essential for PR executives. Journalism and PR are closely linked and two members of the team have Masters degrees in Journalism as well as undergraduate degrees in Politics and Law, going on to pursue careers in in-house PR, agency work and broadcast journalism before joining our team. At Carrington, we're driven by PR that’s profitable. We love great coverage (and coffee! ), have a great atmosphere in the office and take everyone's ideas on board. As a startup agency we work flexibly and there's plenty of room for growth professionally and personally which we believe is a real benefit for any new starter. Similarly, as a small team we have the luxury of working on clients that we enjoy and can put ourselves forward for tasks that enable us to play to our strengths. We use the latest and greatest digital tools for both work and admin, creating a streamlined way of working that's simple, future proof and forward thinking. Being based in Lincoln is also great, because we're on the doorstep of other startups and long-standing businesses, while being able to travel easily to rural locations, larger cities and even London. PR isn’t the glamorous show-biz profession people think it is, but it is a great industry for creativity. No day is the same in PR. It’s a great profession to get into for anyone looking to turn their curiosity and communication skills into a career. It’s a dynamic, fast-paced industry that keeps us on our toes. PR is also unique because there are plenty of opportunities for growth and progression. Just as society and the media landscape is changing rapidly, the PR is also changing and evolving quickly too as we make sure that we can get our clients the best coverage. This creates an exciting environment to work in, especially for people who love to have their finger on the pulse. Working for a range of clients means that in this industry, there’s plenty of opportunity to tap into current affairs which creates a real buzz. We believe that play is the most important work and everyone can flourish if treated as an individual. Children’s Links is a national children and young peoples’ services charity. Our services include those that support babies, children, young people, their parents and carers, the communities they live in and other children and young people’s organisations. We pride ourselves on our professional workforce and our expertise across many areas of service delivery for children and young people. Children’s Links has built its business on developing work to deal with gaps in services identified by our stakeholders, parents, children, funders and the wider community. As a direct result our services support babies, children, young people, their parents and carers, the communities they live in and other children and young people’s organisations. We have a social enterprise called Linking Up Limited (LUL) that provides childcare voucher services nationally and a range of new products such as cycles to work, Utilities Warehouse and Nanny Payroll. Together we make up the Children’s Links Group . All profits generated from our social enterprise are re-invested back into the Group so we can further benefit the community. We are a proactive and agile charity that has enthusiastic experts in our current team. We offer a wide range of job opportunities from Early Years Educators, Friendship Officers and Translators to Senior Management positions. Our team is predominantly based in Lincolnshire and we employ 100+ currently. We are also currently seeking volunteers to join the Board to help us achieve more, could this be the opportunity you are looking for? We put our communities needs first to achieve efficient, reliable and high quality people focused services. We are an organisation that makes a real difference to the lives of children, young people, families and communities. Our team is highly skilled, well trained and strives to provide an energetic, fun-loving service to all. As an innovative and growing organisation, focused on customers and stakeholders, we have grown a wide range of services in response to need and identified gaps. We have also expanded our delivery geographically. As a direct result our services include those that support babies, children, young people, their parents and carers, the communities they live in and other children and young people’s organisations. We are an open and honest organisation that believes in empowering everyone in the team to flourish. Can we help you to be the best version of yourself through paid or voluntary work? Making a difference: We contribute to many things, such as employment opportunity, community cohesion, eliminating the impact of social and rural isolation, training, educating and promoting and safeguarding. Job satisfaction: A recent study by Warwick University found that voluntary sector workers get more job satisfaction than those in the private and public sectors. The opportunity to develop skills: Working in the voluntary and community sector often means you get to develop a wider range of skills than you would anywhere else. We are always open to new ideas and we empower everyone to be more creative and think outside of the box. We look for staff members who make our guests feel welcome! And we offer great apprenticeship programmes to help our team develop and progress whilst earning a wage. Coveris is a leading European packaging company dedicated to providing innovative, sustainable solutions that protect, prolong and improve the products we use every day. As a manufacturer of multi-format paper and plastic products, our goal is to deliver optimal solutions that work to reduce overall environmental impact for both packaging and product. With over 15 sites located throughout the UK, Coveris is responsible for the supply of high-performance labels, films, cardboard and hybrid packaging solutions to all leading retailers, manufacturers and brand owners. Having recently received the award for Flexible Plastic Pack of the Year at this year’s UK Packaging awards for its Freshlife® extended shelf-life avocado packs for Tesco and Waitrose, Coveris is leading the way for environmental packaging with its Pack Positive® sustainability strategy. Coveris’ UK business is headquartered in Spalding with a further five manufacturing sites in Lincolnshire. Cursor is a web technology business which builds innovative, people-focused websites, apps and software to help our customers work smarter online. In every project we do, we always strive to be a partner rather than a supplier. We build long-term relationships with our customers based on mutual trust and openness, allowing our talented and creative team to deliver bespoke products of the highest quality. We add value in everything we do, helping our customers to understand how web technology can change the way they work. We are a company built around people, not technology, so everything we make is created with the goal of enabling people and businesses to become more effective, productive and profitable. Our versatile team is more creative than an IT department and more technical than a marketing agency. We take an active role at every stage of the creative process, ensuring that every aspect of our projects is given the care and attention it deserves. Our developers build bespoke websites and apps to suit our customers’ needs, our designers create beautiful interfaces which are easy to use, and our content designer produces professional, engaging copy to send out the right message. All our projects are overseen by our delivery manager, who works closely with the team to ensure that our products are delivered to the high standards we set for ourselves in everything we do. Anyone joining Cursor will find a friendly team and an enthusiastic working environment in which every employee makes a key contribution to the projects we undertake. We encourage creativity and innovation in all our employees, allowing them to express their talents as much as possible. We never mindlessly follow a specification, always empowering our team to think outside the box and devise inventive solutions. The work we do makes a real-life difference, and we take on a huge diversity of projects, building technology for companies from many different industries. There’s never a dull moment working for Cursor. Web technology is one of the fastest-moving industries around. It touches every aspect of our lives, whether it be home, work, or leisure. We pride ourselves on building technology which makes a difference to people and businesses every day. Anyone can see what we do and use what we make. For us, there’s no better feeling than knowing our work is making a positive impact in the real world. With technology evolving all the time, this is an industry in which you never stop learning. We will continue to innovate and adapt as the changes come thick and fast. Founded in 1969, Dalehead Foods has grown into one of the UK's largest meat processors and prides itself on an outstanding reputation built on years of dedication and high quality service to customers and consumers. Dalehead Foods supplies fresh products including pork, bacon, sausages, cooked meats and lamb to household names such as Tesco and McDonalds, along with holding a special dedicated relationship with Waitrose. With a high focus on forward thinking and maintaining a reputable profile in an ever-changing industry, Dalehead Food's values reflect providing the best possible service to its customers, embracing creativity and innovation, and being a great company to work for. As an ever-expanding and developing organisation, there are many roles within Dalehead Foods that cater to a range of skills and abilities. This, along with a culture focused on training and development, presents countless opportunities for those that join the organisation to expand their horizons and experience new roles or develop new skills that they may not have considered before. With production at the forefront of Dalehead Food's recruitment focus, there are positions available throughout the entire process, beginning at Dalehead's BQP farm all the way through to dispatch as our product makes its way to supermarket shelves. Operatives within production environments are taught by dedicated trainers to make their way through graded positions which include learning knife skills, how to operate specialised machinery, and, of course, how to butcher meat to the highest quality and to the needs and requirements of our customers. Outside of production, a huge support system exists housing departments such as Health and Safety, Technical, Human Resources, Finance, Engineering and Planning. They act as the backbone of the organisation who, in return, offer dedicated development and further opportunities for those wishing to take them. One of our most exceptional development opportunities is our Apprenticeship scheme which has seen a number of successful candidates progress through their qualifications and go on to higher levels whilst joining the business and developing their skills further both in and out of production environments including Butchery, Abattoir, Engineering, HR, and Finance, with Health and Safety and Technical Apprentices soon to be joining certain sites. Dalehead Food's offers its colleagues endless opportunities to develop in a multitude of areas - both personally and professionally - and prides itself in excelling those who strive to achieve more and develop themselves. The culture at Dalehead Foods is one of it's greatest appeals. In addition to it's dedication to internal development, Dalehead also holds a "one team" mentality, combining efforts to support each other to achieve the values and goals of the organisation. Successes are celebrated as a group achievement and our outstanding stars are recognised with programs such as our Dalehead Diamond and Instant Reward schemes. Dalehead Foods has an incredible support network with multiple members of staff trained in both first aid and mental health first aid, as well as a mentorship program that provides an impartial ear to those who need one. Dalehead Foods also offers great engagement both in and out of working hours. We support our current charity, Mind, with regular on site fundraising such as bake sales and competitions, and also recently put together a dream team to tackle a 5k fundraiser run! We excel in offering events such as our popular children's Christmas party and have previously hosted summer fun days which brings people together and allows relationships and teams to bloom and strengthen in different environments. Dappledown is based in an original village Old school with a pony and paddock as neighbours. Pauline Morgan took over Dappledown House Nursery in 2012 and it has flourished further ever since. We offer a warm, nurturing environment with fully trained and experienced staff. Unique stunning views as well as our large outdoor play area, enable the children to take full advantage of our countryside environment. The company has grown from its early beginnings in 1926 to a highly specialised business working across the UK and Europe; but remains based in Lincoln. Peter Denby is the Managing Director (third generation and grandson of the founder) with other non-family members working in senior positions. We are extremely proud that 25% of our workforce has over 20 years’ service as employees. Denby Transport recognises the need to provide training through apprenticeships. This enables us to pass on our experience and specialist knowledge and enhance it with new skills for the ongoing development of our business. Destec was formed in 1969, by the present owners of the company, and it has remained a Private Limited Company ever since. For over 40 years of trading, the company has developed both products and services to industry, particularly where design and supply is concerned, with ‘High Pressure Containment’ and ‘On-Site Machining’ being the specialist lines. An experienced design staff provide supporting calculations and stress analysis for our products and use AutoCad, Inventor, Cosmos M finite element analysis and other in-house developed computer programmes. They are actively engaged in the design and development of our products. This includes building and operating test rigs. Our principle clients are within the Oil, Chemical and Petrochemical related industries, Power Generation, Steel, Marine and others. The company offers an excellent package that depends on ability and experience and includes a bonus scheme. Dynex Semiconductors' are based in Lincoln. Dynex designs and manufactures high power semiconductors for customers around the world including the European, US and the rapidly growing Far Eastern markets. The Power Semiconductor operation is located in Lincoln, England, manufacturing a range of high power Module and Bipolar discrete products that include insulated gate bipolar transistor (IGBT) and diode modules, IGBT/FRD die, fast diodes, fast thyristors, gate turn-off thyristors, rectifier diodes, phase control thyristors and transistors. Engineering UTC Northern Lincolnshire, is a non-selective, publicly funded school for 13-19 year olds that aims to deliver well-rounded students into the engineering and technology industries through a specialist STEM (science, technology, engineering, mathematics) education. With a focus on connecting education to industry, students receive an innovative concept of learning that combines technical, practical and academic learning. By doing so, it provides students with something more than the traditional GCSE and A Level curriculum. Exposing individuals to real-industry projects and industry experts, enables them to progress into their dream careers by gaining the skills, experience, knowledge, qualifications and confidence required by todays employers. Opened in September 2015, the ENL UTC £12m campus is set in the heart of Scunthorpe town centre on Carlton Street, close to both bus and train stations. The campus contains some of the most up-to-date, cutting edge engineering, scientific and computer facilities in the country that provide engaging workshop spaces to learn alongside of the theoretical work. There are currently around 50 UTCs throughout England that are spearheading a new approach to teaching engineering and technical skills to schoolchildren around the UK. Each UTC has been established where employers need them most and where there are pronounced skill gaps. This is what makes the ENL UTC so unique within the region, allowing the next generation of workers to get much sought after skill sets to make that rapid transition into the workplace. As the ENL UTC is currently in it's third year, the school is continuing to grow. At the moment we employ around 28 members of staff including both teaching and support staff. Every staff member employed at the school is passionate about not only their job role but also the schools vision and ethos. Staff do not raise their voices, the school does not have an isolation system and we respect the students as much as we would like them to respect us. The ENL UTC is very focused on the individuals and building those relationships. From a recent staff survey it stated that 95% agreed or strongly agreed that the UTC was a great place to work, 100% agreed that the UTC has a great vision and that the staff force is well led, and the average staff morale was 8.73 out of 10. Our staff members believe that there is a sense of belonging when working at the ENL UTC and due to the unique learning environment it allows them to praise and acknowledge students successes and progression. My job role is as the ENL UTC Marketing and Student Recruitment Officer, and I love my job because every day is different. Not only do I plan strategy for the year, manage all digital platforms and arrange literature, I also get to work closely with students and industry partners to create a sense of engagement throughout the community. Every day I am involved in an activity, event, workshop etc. that engages the students to be more involved in promoting their school. Recently we have had permission to open the school up to a year 9, meaning that the ENL UTC is one of the first UTCs in the country to be able to do this. We are continuously progressing and opening up the campus to new, relevant industry machinery for the curriculum as well as engaging more with the local community, showcasing our student talents. We are an award-winning creative studio based in Lincoln UK, who work with clients all over the world. Our team of web designers,developers, video & timelapse producers and brand strategists help businesses talk to their audiences in a clear, consistent and engaging way. We employ creatives with a range of skills, from coding to graphic design, video production, analytics and ad and remarketing campaigns. Working in a creative studio is like nothing else. We support each other in coming up with great ideas, delve deeply into clients' challenges and get to break the mold with ideas that astonish them. We also have a company perks scheme and a social budget managed by the team! The industry is hugely dynamic, creative and fulfilling. Our teams face a lot of creative challenges and we get to solve them in new ways. Frontier Agricutlures head office is based in Witham St Hughs, south west of Lincoln. Frontier’s values are integrity, customer focus and expertise. This means choosing to do the right thing for customers, colleagues and ourselves and collaborating to put the customer at the heart of everything we do. Frontier people use their skills, training and expertise for the benefit of customers. Frontier encourages, supports and rewards colleagues who consistently demonstrate its values when dealing with each other and customers. The company operates a reward and recognition scheme built around celebrating colleagues who demonstrate exceptional performance as measured against the company values. Job specific training – all technical advisors are supported in gaining relevant industry qualifications including FACTS and BASIS. Driver training – all fleet, delivery and company car drivers are regularly assessed by driver trainers, with fleet drivers required to complete recognised annual training. Personal skill development – Frontier offers a rolling calendar of general learning opportunities open to all colleagues. As well as training in the use of software such as Microsoft Office applications, these include other courses aimed at improving people’s personal skill set such as ‘speaking with confidence’, ‘overcoming difficult situations’ and ‘getting things done’. Frontier provides all colleagues with regular performance and development reviews. This is an opportunity for people to identify and agree potential areas for future development with their manager. Frontier is the largest crop production and grain marketing company in the UK, formed in 2005 as a joint venture between Associated British Foods and Cargill plc. We employ 1,000 people and turn over £1.5 billion. Our vision is to be the first choice partner for crop production and grain marketing, and the first choice employer in UK agriculture. Our business approach is underpinned by our values of ICE – integrity, customer focus and expertise – which drive our behaviour and are key to our success.Our ambition is to grow our business and we intend to do it responsibly, doing things properly because it’s the right thing to do. We will use our expertise, our scale and our leadership position to make a difference to others. Some companies call this sustainability. At Frontier, we call it the responsible choice. Southwell is our home, and has been from the very start. For over 50 years we’ve been kneading, beating and mixing, and our range has grown into a wide and varied selection of traditional and continental breads, hand finished confectionary and irresistible cream cakes. Our dedicated team sell, produce, pack and deliver the 80,000 retail items we sell every day, six days a week. We also keep our ovens fired up 24 hours a day to ensure only the freshest quality baked goods are delivered to our customers. You'll find our range on the shelves of stores from Liverpool to Grimsby, Sheffield to Peterborough, and in over 230 co-op food stores throughout Lincolnshire, Nottinghamshire and Derbyshire. Specializing in row crop equipment Garford are recognized as a world leader for their range of Robocrop Precision Guided Hoes and Robocrop InRow Weeders. The Robocrop range of products use video cameras and image analysis computers to locate crop position and then guide the hoes quickly and accurately. Garford are now running a factory in Frognall, Lincolnshire. The Garford brand is built upon listening to the customers' needs and then, through the custom build manufacturing facility, Garford can provide for the exact needs of the individual. Established in 1988 the Gelder Group is a multi-award winning construction company. Dedicated teams offer our clients a wealth of building experience in education, health, retail, insurance, leisure, residential & commercial building projects. We deliver everything with a ‘Can-do’ attitude and constantly challenge our teams to deliver everything with a special ‘Gelder Touch’, which our clients love. The Gelder Group is based in Lincoln and has three main divisions; Major Contracts, Facilities Maintenance & Build, and Insurance Repair & Renovation. Each of our divisions has the benefit of employing its own specialist workforce, as well as being able to utilise our pool of experienced and skilled trades people. This enables us to offer our clients the complete construction service. At Terex AWP, the concept of lifting people and materials higher extends beyond the products we build. It reflects the spirit of partnership behind everything we do. We’re a global company that’s deeply connected to our customers — working to help you build your business, whether you own one store or one hundred stores. GenieUK is based in Grantham. Genie Industries began in 1966 with the introduction of the Genie® Hoist, a portable, pneumatic material lift. It was followed by additional material lifts and a series of aerial work platforms to meet customer demand — products that quickly gained worldwide recognition and often represented breakthroughs in design. Today, as a subsidiary of Terex Corporation, we remain at the forefront of innovation and quality production. But our customer-focused values keep us grounded. From Denver to Dubai and Hong Kong to Helsinki, customers ask for our distinctive blue lifts on the jobsite because of our uncompromising service and support. The Nuns Corner Campus, located in the centre of Grimsby, is the main provider of technical and professional training in the region. It provides a broad curriculum that encompasses full and part-time provision from 14 years onwards. The vast array of training options include Further and Higher Education choices offering Apprenticeships, community provision, business training, workbased training and commercial activities.The Nuns Corner Campus is home to the Engineering & Renewable Energy Centre, a brand new £6million Sports Centre and the Grimsby School of Art, a new £4million home for our Creative Arts courses. The Institute’s Nunsthorpe Community Campus, located a short walk from the Main Campus, offers some Construction provision alongside some of our Landbased Studies courses (Horticulture & Animal Care) that are also offered at the LRAC Campus.Nuns Corner is also the home to the £20million University Centre Grimsby. UCG opened its doors in 2011 and offers a dedicated home for our Higher Education programmes, offered in partnership with the University of Hull and Teesside University, alongside our own suite of Foundation Degrees programmes. The Grimsby Institute is also the base for a large Workforce Development provision and for the Food Refrigeration and Process Engineering Research Centre (FRPERC). Gusto homes have built eco-homes in Lincoln, and have created a development in Great Gonerby. Founded in 1965, GWF Engineering Ltd has been providing services to industry for over 50 years offering excellence in machining and fabrication solutions to hundreds of satisfied customers from a broad spectrum of industries. In addition to servicing the more traditional heavy engineering sectors such as Steel, Mining, Power Generation and Petrochemical, we also work innovatively in the Aerospace, Formula 1 Racing and Renewable Energy industries. The manufacturing facility is based in Scunthorpe, North Lincolnshire and is close to the UK Motorway network and the Humber Ports for ease of transport of large abnormal loads. The workshop facilities total some 35,000 sq.ft. with overhead craneage of 40T single lift and machining capabilities of up to 5.6m diameter. We maintain a regular workforce of highly trained, skilled craftsmen and have a proactive succession policy involving the recruitment and training of apprentices in all our core disciplines. This provides us with the stability of skills and retention of knowledge required to maintain the high standards to which they work. Our care workers are reliable, friendly, skilled and above all passionate about delivering quality care and support. As one of our team, you will be able to make a positive difference to people’s lives every day. We provide our service users with outstanding one-to-one care, we will always try to match you with the service user that best suits your own personal interests so that you can make a positive difference in their life. We are able to offer you full or part time work with fully flexible hours to fit around your lifestyle. We provide regular training so that you remain a confident and top class provider of care. At Hales Care, we really do look after our care workers, with great opportunities for advancement. We offer guaranteed hours, paid travel time and the very best rates of pay. The Northern Lincolnshire Education Consortium has launched a brand new Health Academy aiming to help young people build careers in the health sector. Aimed at 14-18 year olds, the new Academy will open initially to students from Huntcliff School, The Axholme Academy, St Bede’s Catholic Voluntary Academy, Fredrick Gough School, North Lindsey College and John Leggott College. Students will have the opportunity to work towards qualifications in health and social care as well as build valuable work experience in the health and social care sector. “Inspired by Laura, our daughter and Hugo’s sister, we created Home From Home Care. We’re looking for people from all walks of life who may or may not have experience in supporting people with a learning disability to join our team. We offer a comprehensive training programme and real career development opportunities within great working environments. Over the last 12 years we have developed specialist residential care homes for adults with learning disabilities and complex special needs. We are based in Dorrington, Lincoln but have home throughout the region. Combining our family perspective with experienced professionals, we create dynamic and therapeutic services around each person in exceptional environments. We are driven by wanting to make the difference and setting high standards in everything we provide – from the design and layout of a home, to the colour of the curtains. Creating a warm and homely environment is just the start – it is the quality of the care & support that is essential to delivering fulfilled lives for all our sons and daughters. We recognise that training is crucial to providing exceptional support. Our twelve week Induction Programme encompasses the Skills for Care Common Induction Standards. Mandatory, in-house training and distance learning are opportunities for accreditations, including Level 2 & Diploma in Health & Social Care. Refresher training and additional specific training ensure we respond positively to the changing needs of each individual we support. Training programmes are designed to be a pathway to career progression. Horncastle Eye Care is located within the heart of Horncastle town centre. Our highly experienced optical staff have over 40 years experience and offer a personal touch and bespoke service, whether your requirements be for a simple repair, or the fit of high end designer varifocal. Our in house glazing service allows you to create your own rimless design, and can offer a same day collection service subject to lens availability. Our staff require great communication skills, to be reliable and great at problem solving! Designed, built and tested in Woodhall Spa, Lincolnshire, our range of self-propelled machines uses ground-breaking technology to deliver a specification not often found on other machines available in the crop spraying market. Furthermore, all Househam self-propelled machines have been designed with low weight and even weight distribution in mind. This minimises soil compaction and allows the machine to be used throughout the year, minimising weather delays and reducing the risk of diseases taking hold. Househam is dedicated to producing leading edge technology which is designed to offer maximum efficiency and ' future-proof' our ever expanding range of sprayers. Customers are supported around the globe with an experienced network of service engineers and dealers', ensuring help and assistance is but a phone call away. Providing world class technical innovation, research and development and testing and manufacturing services to deliver exciting, effective and efficient concepts for our global customers. With over four decades of success within the agricultural sprayer market, Househam is able to combine cutting edge technology devised by some of the industry's best engineers with precision manufacturing and speed to market. The challenges faced by agriculture are massive. The ever increasing world population relies on the food agriculture produces and this represents a challenge for the industry, globally, unlike any other industry has hitherto faced. However, bringing more and more land into agricultural use can have detrimental effects of the environment by encouraging deforestation, which releases more CO2 into the atmosphere, and the draining of natural wetlands both of which increase the risk of flooding. By protecting and improving the vast areas of soil currently under cultivation and maximising its productive capacity with advances in plant breeding, nutrient management, crop protection products and innovative application technology, we should be able to go a long way towards producing higher volumes of food which is healthier, safer and produced in a more environmentally friendly and sustainable manner. Our aim is to use new and innovative technology to enable us, as leading manufacturers of crop sprayers, to produce machines which enable growers not only to apply crop protection products very accurately, but also to help protect soil structure by reducing soil compaction. Our links with the leading agricultural research bodies and our continuing dialogue with practical farmers and contractors helps us to produce leading edge crop sprayers which meet the needs of users around the world. H.Z. Logistics is continuously growing. More and more clients work with us to transport floriculture products, fruits and vegetables, and deep-freeze loads throughout Europe. We have been working hard for two generations, with a heart for the business and for our customers. As a family business, we value short communication lines, partnership and are open to innovation and improvement as a professional service provider. Are you open to a new challenge? . Our H.Z. Logistics UK Ltd branch is located in central Great Britain. A branch with which our Dutch head office works closely together to ensure the perfect distribution of the cargo collected in the Netherlands. Our planning flows seamlessly into each other. The UK branch strives for a sublime supply chain and total customer satisfaction. With his over 30 years of experience, Matthew Fidler created a strong team, and his distribution network covers both the United Kingdom and Europe. H.Z. Logistics UK Ltd guarantees customer-friendliness, 24/7 reachability, efficiency and strategic solutions for customers and suppliers. Feel free to contact us for more information about our export, transport, groupage, storage and transhipment, or national distribution services! Interflora is based in Sleaford, Lincolnshire. Every day, thousands of people trust us to deliver their good wishes and thoughtful sentiments on their behalf. But it's not just about being the largest - we pride ourselves on being the most personable too. Everyone involved - from our florists, to our delivery drivers, to our customer advisors - all take care to add a little personal touch to the Interflora experience. We're also proud that so many award-winning florists choose to be part of the Interflora family. Each of our expert florists has the unique blend of skills, creativity and attention to detail needed to create every handmade Interflora bouquet. Jarell Group are a collective of professional service organisations focusing on the workforce solutions marketplace. The Jarell Group incorporates in excess of 100 years’ worth of experience in the recruitment and training sectors. We identify best practice, highlight new trends and encourage communication and collaboration between members. The Jarell group draws on industry experts working for large & small B2B organisations. As a group of highly experienced professionals, our people redefine best practice on a daily basis. For now, we’re focusing on the recruitment, technology and payroll sectors, with transformative solutions, systems and software. Every day, we shape our world by investing in, building, maintaining and renewing where we live and work. Every project we work on draws on the skills and expertise of our people. Their job is to make a positive impact on the world. Because what we achieve together in a day will have benefits that last for generations. Kier is what you make it. That’s why we give you the scope and the support to invest in your own future. To build your expertise, and enable you to contribute to a rich and diverse culture. You are able to renew your career for the long-term with outstanding opportunities. Bring your talent and ambition to Kier and you’ll develop to be your best. Our approach to training and professional development is industry leading. Our priority is to help you to achieve your greatest potential. Let’s shape your world together. Kier Group plc. is a leading construction, property, residential and services group which invests in, builds, maintains and renews the places where we work, live and play. We operate globally across a range of sectors including defence, education, health, housing, industrials, power, transport and utilities. Listed on the London Stock Exchange, we are a constituent of the FTSE 250 Index. With a network of 88 UK offices Kier offers national coverage across all of its core activities. Employing 22,000 people, Kier has the financial strength and technical expertise to undertake some of the most significant construction, civil engineering and service contracts in the country. Kier is an equality and diversity employer. Kingcrab.co.uk is the internet face of a successful fish merchants that has been working out of Grimsby for over a third of a century. Our aim is to bring you shellfish and seafood that you will find difficult to get in your local fishmongers or your supermarket. Supermarkets don't like fish because it's wild and uncontrollable; in other words they can't dictate how we buy it. Leonardo is a global high-tech company and one of the key players in Aerospace, Defence and Security. Employing 45,000 people worldwide with 7000 of those in the UK. Leonardo has six sites in the UK specialising Electronic Warfare, Radar, Helicopters, Cyber and Infra-Red Technology. Our Lincoln site is home to the Leonardo Academy where we train our customers on the latest technologies. Also at Lincoln we have a strong focus on Electronic Warfare Operational Support (EWOS), supporting both UK and overseas customers. Being a STEM focused company, Leonardo employs a vast range of engineers including; software, systems, controls, hardware, manufacturing, electronics and cyber. Routes into employment with Leonardo are through apprenticeships, graduate schemes and industrial placements. In the UK Leonardo spends around £3.5 million on employee training and development annually, providing young people with the opportunity to gain qualifications through on-the job training, whilst simultaneously undertaking academic study. We are also one of the largest employers of engineering apprentices and graduates in the UK with our apprenticeship scheme rated 'Outstanding' by OFSTED. Leonardo is also the first aerospace company in the UK to be awarded the Investors in Young People Gold Accreditation award which reflects the company's commitment to supporting young peoples' educational development. At Leonardo, you are working with some of the latest technology, so advanced that many people don't know about it. Through work with some of the UK’s most renowned universities including Edinburgh, Bristol and Liverpool, Leonardo is investing in future research to maintain the UK’s position as a leader in world-wide technological innovation. Lincoln Cathedral has been a place of worship for over 900 years. The Cathedral also welcomes thousands of visitors each year who come to learn about the rich history and heritage of the building as well as see the fantastic architecture. The Cathedral hosts a wider range of events throughout the year, from concerts to theatre productions. The Cathedral employees approximately 100 people in a wide range of roles including customer service, administration, finance, retail, hospitality and marketing. The Cathedral also employs around 40 highly skilled craftspeople who maintain and conserve the building. The crafts include stonemasons who maintain the stonework and glaziers who preserve the Cathedral's many stained glass windows; some of which dates back to medieval times. The Cathedral is also very lucky to have around 700 volunteers to help too! The Cathedral is a very special place to work. There is such history within the building and our staff sense that they are part of it's life as we work to ensure that our future generations will be able to enjoy it just as we do today. No day is ever the same and we come into contact with lots of different people. There is a great sense of pride and satisfaction from being a part of an organisation with such heritage. The Cathedral has a daily pattern of worship and we see that generally congregation numbers are increasing. As a visitor attraction, we attracts lots of different people from all over the World. We continue to develop our programme of events and activities to encourage both local residents and visitors to interact with the Cathedral in a range of different ways. Lincoln Teleservice Ltd was established in 1965 - they are an Independent Family run business and have a large Showroom displaying white goods appliances, small domestic appliances along with a range of the latest L.E.D. TV's. They also offer online sales and a full repair service. Within their workforce they employ people in sales and repair roles to both look after customers and the appliances. These members of staff must deal with the showroom sales as well as those orders placed online. Sales staff working within the showroom will be assisting customers with enquiries and also taking phone calls. The online store also requires website maintenance and a member of staff to manage their Ebay store. Once a sale has been placed, the order must be delivered, which includes transportation as well as warehouse management. Within the Electronic retail industry, you are always working on and deling wth the lastest electronic equipment which can be exciting. Lincolnshire Action Trust is driven by a team of caring, passionate and experienced individuals. Lincolnshire Community and Voluntary Service (LCVS) promotes volunteering through its four accredited Volunteer Centres - in Boston, Manby (near Louth), Spalding and Grantham, matching would-be volunteers with opportunities and supporting volunteer involving organisations to recruit, train and retain volunteers. LCVS is a charity working to support the health and wellbeing of communities and individuals. It supports community groups to get established, survive and thrive by providing help and guidance with paperwork and governance, resources, sourcing funding and finding and training volunteers. In addition, LCVS delivers and enables health-related community projects. Lincolnshire Cooperative is based in Lincoln. A co-op is owned and democratically controlled by its members. The members are the main people who benefit from the business. Co-ops vary in size, structure and even what type of work they carry out. Co-ops with retail at their heart are probably the best known, but you can also find co-ops specialising in housing, farming, utilities and much more. As one of the most profitable independent consumer co-operatives in the UK, we're proud to be able to offer a wide range of services from our family of businesses. Lincolnshire Co-op employs over 2,800 people throughout Lincolnshire, Nottinghamshire, Yorkshire and Norfolk and we're always growing. As a co-operative, we're committed to the ethical principles which are important to our members, such as Fairtrade and sourcing products locally. The Lincolnshire Showground is owned by the Lincolnshire Agricultural Society, a charitable organisation established back in 1869 whose objectives are to educate the county about food, farming and a sustainable environment. Although our roots continue to be embedded in agriculture, we've diversified over the years to create a multi-purpose environment offering a wide range of services and events for the region and beyond. Over the years we've gained a reputation for both organising and hosting outstanding events, including conferences, exhibitions, charity dinners, concerts, festivals, weddings, equine and livestock events, rallies and vehicle shows. The opportunities are endless, so if you're looking for a venue for your next event, please do get in touch with our friendly and knowledgable team. The Talent Academy concept was originally formed in June 2015 as an initiative by United Lincolnshire Hospitals NHS Trust to support engagement of younger people into its workforce. Due to its success, the Academy evolved in April 2016 incorporating its Lincolnshire stakeholders to strengthen and support local partnership and the benefits of collaboration. Today, the Lincolnshire Talent Academy is an umbrella body made up of health and care organisations within the County. Led by United Lincolnshire Hospitals NHS Trust, the Academy represents a wide range of stakeholders from the health and care sector. The Academy delivers proactive services to aid recruitment and skills development of our current and future workforce, whilst also ensuring the portability and integration of skills across the health and care system. As employers, we work with students, schools, colleges and universities in addition to other agencies such as the DWP to provide services for individuals from the age of 14 and above, all of which are delivered in partnership though our stakeholders. Our remit includes careers inspiration activities incorporating the engagement of the education sector and delivery of careers guidance and work experience, through to the management of apprenticeship training and support for apprenticeship trailblazer standards development across our stakeholders. With a common shared goal across all stakeholders – to adopt a “grow our own” culture within the county, the Lincolnshire Talent Academy provides the foundation for our collaborative approach to the engagement, recruitment and development of talent within the Health and Care community. Click here to take a look at our career events. Lincolnshire Wildlife Trust is a voluntary charitable organisation which cares for Lincolnshire's wildlife and countryside. It is one of 47 similar Wildlife Trusts covering the UK which are affiliated to the Royal Society of Wildlife Trusts and is based in Horncastle, Lincolnshire. Lincolnshire Wildlife Trust is one of the oldest of these county trusts, having been founded in 1948. The Trust covers the whole of the historic county of Lincolnshire - from the Humber to the Wash.
Lindum Group, based in North Hykeham, believe that they offer a different service at Lindum. Lindum say that 'the difference is our people' and, as the majority of our employees are shareholders, they have an added interest in looking after your requirements. Essentially, the company looks after its people so that the employees can look after their clients with much more care and attention. Construction is Lindum's primary business, with design and build an increasingly popular procurement method for clients, whether new build, refurbishment or maintenance projects. They can service new build contracts up to £20m and refurbishment projects up to a value of £12m. In house resources means their clients benefit from having close attention and very good service at all times. With extensive experience in land sourcing, funding, design and build construction and 'total procurement management' delivered by their Joint Venture Property Team Lindum Group look to develop opportunities by working with partners on projects and land opportunities. In addition, they have developed a range of ‘in-house’ and ‘support services’ delivered through the 12 trading divisions which form Lindum Group - these range from plant hire and vehicle maintenance through to waste recycling. We source, pack and supply a wide range of high quality potato and vegetable products to the leading retailers in the UK. Our products are grown by established and quality focussed growers, both here in the UK and abroad. We work closely with our growers, throughout the growing, harvesting and packing of our products, to ensure that quality and traceability are maintained from “Field to Fork”. We also work constantly to find new ways to improve the taste, texture, appearance, and health benefits of our products through different growing techniques or new varieties. Extending the seasons is also very important to ensure that we can provide our products year round, although some products, such as the Brussels Sprout, will always be seasonal. Life here at Manor Fresh is much more than just putting product in a bag! Our Exec Team believe it is important that everyone has the opportunity to add to their skills and shine. Wherever possible we love to promote from within, many of our senior staff and managers have started on the “front line” of production, worked hard to learn the product and the processes and worked their way up through the business. For that reason we look for people to join us who have the right attitude towards work, who want to learn and progress. We work hard, take tremendous pride in what we achieve for our growers and customers, but we have some fun too! If you are looking for a career with a company where people really count, look no further than Mastenbroek. Mastenbroek is a fast moving and forward thinking company. We are proud of our achievements and recognise that future growth and success is shaped by our employees. Everywhere you look in our company, you will find people with enthusiasm, coupled with a real can-do spirit. Based in Boston, Lincolnshire, at the heart of some of the UK’s highest-grade agricultural land, and adjacent to the growing North Sea east coast renewables sector, Mastenbroek is a long-established, privately owned company with a worldwide reach and support network. We have grown into a globally respected name through our focus on creating the innovations and technology that lead our field – we were the first to offer patent technology that allows trenching in hard rock and permafrost, for example – and offering our customers’ a comprehensive trenching product range along with tailored engineering solutions. Metsä Wood provides premium-quality wood products for construction, industrial and distribution customers. We use 100% traceable wood from northern forests, a sustainable raw material of the finest quality. Our facilities are surrounded by these forests, which ensures a never-ending, reliable supply. Our primary products are Kerto® LVL (laminated veneer lumber), birch and spruce plywood, and Nordic premium timber. Our sales in 2017 were EUR 0.5 billion, and we employ about 1,400 people. In the UK, we operate from four production and distribution sites: Boston (our UK Head Office), King's Lynn, Widnes and Grangemouth. Metsä Wood is part of Metsä Group, which covers the whole wood value chain from sapling to product. Micrometric make a wide range of components for automotive, aerospace, energy and industrial sectors. We use many different manufacturing techniques but nearly every part includes some sort of laser process - laser etching, laser welding, laser drilling or laser cutting. Innovating new processes keeps us at the forefront of the industry sector. We take on apprentices and offer work experience to local schools. We employ apprentices for mechanical engineering to use laser processing and other machines. We employ engineers to plan and process jobs and engineers and scientists to innovate new processes and investigate buy or make new equipment. We offer an apprenticeship occasionally in the commercial side of the organisation. We offer interesting work with a wide variety of jobs, parts, machines and processes to learn within an exciting industry which is pushing the boundaries of what is possible. Micronclean, based in Skegness started as a local laundry and has been owned and managed by one family since the 1920’s. At that time, the business concentrated on hand finished laundry services focusing on quality, innovation, attention to detail and customer care. These attributes underpin all the products and services Micronclean now offer which range from our traditional hand finished linen through laundered garment services for both industrial clients and high-tech pharmaceutical companies throughout the UK to cleanroom consumables which are sold in the UK and overseas. Our ongoing evolution started in the 1970’s when we introduced the first tunnel finisher into Skegness which had the benefit of drying garments using steam thereby doing away for the need for ironing. Tunnel finishers are now the industry standard way of drying garments. We also were the first to introduce Polycotton garments, now the predominant fabric for workwear. During the 1980’s we built the first cleanroom laundry and we were the first laundry to adopt ISO9001. The 1990’s saw the introduction of garment tracking and we were the first laundry to use Radio-frequency identification (RFID) technology through which we track individual garments in our in-house developed Protrack system. We remain the only major laundry to scan garments both into and out of our sites. We were the first laundry to adopt ISO14001 environmental standard. The building of Louth in the 2000’s saw the development of the first (and only) large scale ISO6 cleanroom laundry, Louth’s sortation system remains the most sophisticated in the UK. Alongside this we developed an innovative automotive paintshop garment washing process which remains the most effective for that environment. We achieved Risk analysis and Bio-contamination Control (RABC) accreditation, ISO14065, the first Laundry in the UK and still the only cleanroom Laundry to do this. We introduced a patented Mopping system and multipack syringe packs, both of which have genuinely changed the dynamic of the market. The current decade has seen the introduction of our alcohol trigger sprays for our clean room consumables customers which have challenged 30 years of received wisdom and have transformed the market place. Our Alpha and Beta disinfectant range have allowed customers to move away from chlorine based solutions which have major problems with health and safety due to the vapour as well as the corrosive properties of chlorine based disinfectants. Micronclean has a turnover of just over £25m and employs close to 450 people across the UK, the majority of these being based at our three main production sites, all based in Lincolnshire. We have an active Continuous Improvement programme driving business improvement for our customers. Looking to the future we are confident of growth not only in the UK but also in export markets as we seek to leverage not only our laundered garment service and consumables sales but also use our unique laundry knowledge to deliver business opportunities in overseas markets in line with our mission statement. With over 20 years experience in the waste industry, Mid UK Recycling is one of the UK's leading independent waste processing company's ensuring zero material to landfill. Based in South Lincolnshire, we process material from all over the country as well as dry mixed recycling from all Lincolnshire households. Once processed, we supply fuels to UK and European Cement Kilns & EfW Plants. Mid UK currently employs almost 480 people including; Recycling Line Operatives, Mobile Plant Operatives, Mechanical Engineers and Electricians. We also have established teams for Health & Safety, Compliance, Quality Control, Human Resources & Finance. Our Transport & Skip Fleet, Mountain Transport & Skip Hire, currently operate over 70 vehicles and operates a drivers apprentice scheme. Mid UK Recycling is committed to the development of its employees ensuring that external training is provided for a wide range of courses. Staff development and safety is at the heart of the business. The waste processing and recycling industry is relatively new and is constantly evolving, making it incredibly fast paced and innovative which makes Mid UK Recycling an exciting place to work. Minster Surfacing Ltd was formed in 1999 and has grown to become a major supplier to the Ministry of Defence, local authority, major builders and local suppliers. Based in Lincoln, we work on multi-million pound infrastructure projects for many of the UK’s largest construction firms, as well as councils, central government, defence and aviation industry. We’re able to access all areas of the United Kingdom and are regularly asked to carry out works for the Ministry of Defence nationwide. Initially offering specialist macadam applications our continued growth and success has enabled Minster Surfacing Ltd to offer a full construction package including site excavation, drainage, planing, block paving and surfacing. Our client list has grown to include Balfour Beatty, Carillion Amey, Gelder Group. Kier Group and TARMAC. Minster Surfacing Ltd is owned and managed by Bruce Spencer-Knott who has over 25 years’ experience and a full working knowledge of the surfacing and construction industry. Bruce is often on site with the operatives, operating the machinery and helping deliver the service to the customer believing truly that excellence in delivery of the product is paramount. The company’s a proud member of The Institute of Asphalt Technology. In 2016 we moved into our new 3-acre headquarters in Lincoln. Designed and built by local firm Stirlin Developments, the new, bigger site has allowed us to grow our team to 40 full-time employees and subcontractors. We can now also recycle more waste road material than ever – over 20,000 tonnes in just six months. Mortons Media Group, based in Horncastle, Lincolnshire; owns and operates 30 shows and events across the UK catering for a range of enthusiast audiences. From motorhome and caravan shows, classic bike shows to Autojumbles, off-road motorcycles to classic cars; we entertain over a million people every year. The NCFM is dedicated to helping food industry employees advance their careers. We understand the demands of studying while working in this fast moving, dynamic industry and balancing family commitments. Our part-time Degree Apprenticeships provide one of many flexible study options for those working in Quality, Technical roles and Operations Management. The NCFM is also committed to helping the sector innovate. We work with employers and partners towards this goal, aided by our partnership with leading equipment suppliers and our outstanding specialist facilities, food factory and cutting-edge automation. NCFM offer a range of opportunities for business and employees. These cover opportunities for studying apprenticeships and degree apprenticeships, research and innovation. At NMB Minebea UK based in Lincoln, we are a world leader in the design and manufacture of bearing technologies. Wherever precision, speed and reliability are essential; we deliver exceptional solutions which improve the productivity and efficiency of our customer’s application or product. We are passionate about our product and believe that the key is to understand the challenges our customer’s face, by doing this we then connect our products, people and expertise to deliver exceptional service and solutions. We aim to exceed the expectations of our customers through the production of world-class precision-engineered product. Northern Lincolnshire and Goole NHS Foundation Trust provides acute hospital services and community services to a population of more than 440,000 people across North and North East Lincolnshire and the East Riding of Yorkshire. Our annual budget is circa £300million and we have 850 beds across our three hospitals: the Diana, Princess of Wales Hospital in Grimsby; Scunthorpe General Hospital; and Goole and District Hospital. Every year we see more than 135,000 people in our emergency departments, deliver more than 4,500 babies, carry out around 30,000 operations, treat 120,000 inpatients and book 400,000 outpatient appointments. Our Trust is one of the largest employers in Northern Lincolnshire and continues to grow and invest in staff as well as patients. In fact, we’ve recently been crowned winner of the Employer of the Year award at the Talent for Care awards. We might be small and friendly, but we encourage our staff to think big. Innovation is encouraged and supported – an example of this is our award-winning unique in-house computer system we have developed, called the WebV Clinical Portal, which digitally monitors and manages patient records. We have also developed a fresh approach to recruitment which enables us to make contact with overseas networks and candidates within Europe and beyond. This has positioned the Trust as a potential place to work on a global scale within the international job market and we are attracting professionals from around the world to work on our wards. Our vision and values are central to the way we do things on a daily basis. They set out what our patients can expect from us at every step of their journey with us, whether that is on the phone, in writing or face-to-face. Our Apprenticeship programme will focus on both your academic and professional development over the course your 13 month apprenticeship. You will be working in establishment teams who will contribute directly or indirectly to quality, patient focused care. You can expect monthly reviews with both your line manager and your assessor to check in with your progress throughout the apprenticeship programme. This will provide you with the support that you need to aid your development. In between your monthly reviews you will be working closely with your mentor who will support you in your department on a day to day basis. The Trust apprenticeship programme is also supported by the Trust apprentice network which is held on a monthly basis. Here you will come together with your fellow apprentices across the Trust to discuss your experience and focus on your development as a group. Together we care, we, respect, we deliver is our shared vision and values which form a declaration of our personal and organisational purpose and intent. It was created with input from staff at every level, from cleaners and ward clerks to nurses and consultants and our Trust Board have pledged their commitment to delivering services in line with this vision. We're always looking to the future, so we're embracing new technology and sustainable resources, developing environmental projects and reducing our own carbon footprint. We're investing in our network, our customers and our people. What sets us apart? Simple. We appreciate that you are the future of our business. We want you to grow, to be challenged, and to succeed. Through excellent training and development, we'll give you the power to light up people's lives. Our network covers an area of 25,000 square kilometres, we manage more than 60,000 substations and around 94,000 kilometres of overhead line and underground cables. That means there's no shortage of opportunities. Scientists need funding (research is expensive, we know) to find these things out, even how much they need to spend in order to do so. Investors aren’t sure which research is the best and are going to grow the quickest (return on investment), and where people should really spend their time (and money). Throughout the history of business, people use science to make more informed decisions. Our mission at Nutrapharma is to make the science and healthcare economy more transparent. Today we provide the most actionable scientific discoveries, data & insights in the industry. We want to make this data and the products from this research, are available to as many people as possible (not just the top 5%). So we can all live healthier (and longer)! Ørsted (previously Dong Energy) is one of the leading energy groups in Northern Europe. Headquartered in Denmark, we have around 6,700 employees which inludes over 850 in the UK. Ørsted have an offshire wind farm off the coast of Skegness, which runs 75 turbines, and generates enough energy to power 240,000 homes across the UK annually. In the UK, we are dedicated to developing, constructing and operating offshore wind farms and we are the third largest industrial and commercial business-to-business gas supplier. They have nine operational offshore wind farms, three in construction, and three in development. They are also building the world's first bio plant called REnescience, a waste-to-energy solution that will provide energy for to up to 110,000 UK homes. They have already invested £6 billion in UK wind projects, and plan to double that by 2020. They are committed to innovation, taking a lead in driving down the costs of wind power and developing innovative solutions for energy customers. We’re a charity and social enterprise, made up of passionate people, who care about people. We exist to improve lives and communities by delivering services for socially excluded and vulnerable people to unlock their potential and open up new possibilities. Our vision is that every person has the opportunity to be a full and valued member of a society where social exclusion and isolation no longer exist. It’s that simple! Everything we do is centred on our core values - being innovative, different, creative, focused entirely on being helpful in everything we do, being passionate about the people we work with, our determination to tackle problems that others won’t, and working together as one team. At P3, we have a track record in supporting apprentices to gain their qualifications, on-the-job experience and in many cases, go on to permanent employment. Not only will you get training as you work, you will also be able to study for a qualification in your chosen subject; earning while you are learning. We will provide you with a buddy who will support you while you settle into the role. They will be an existing member of staff who has experience in the area that you are working in. At Pentagon, we believe any position with us isn’t just another job, it’s a career. We think differently – which sets us apart from other Motor Retailers. Our success is built on our teams. People are at the heart of everything we do. Everybody works together, with a very hands-on approach. Getting the right people to fit into those teams is our number one priority. So What Can You Expect When You Join Pentagon? With Pentagon, you’ll get the opportunity to be yourself. In return for your commitment, dedication & loyalty we’ll give you …. There are a host of different jobs within Pentagon including sales, service, parts, bodyshop, accounts and administration, customer service and apprenticeships. Pepperells Solicitors are a dynamic and growing law firm. If the client needs a modern approachable law firm, then Pepperells are the right choice. We deliver the highest standards of service to our clients with a personal touch. The legal sector is constantly changing, and our team of lawyers have the skills, experience and judgement to deliver the outcomes that our clients require in a speedy and cost effective manner. We offer a wide range of services and can deal with most types of legal work both for the individual and also for complex business requirements. Pepperells is a full-service law firm with offices currently in Hull, Scunthorpe, Grimsby and Lincoln. It’s eight core business units include; Chambers, Crime, Commercial, Dispute Resolution, Family, Immigration, Residential Property and Wills & Probate. A variety of opportunities will be available based on skills and experience. We are a result-driven marketing and graphic design agency based in Lincoln. We specialise in marketing, strategy, graphic design and digital marketing that delivers to our clients. Purple Robot was set up in 2013 by Damien Howard-Pask with the philosophy that marketing is more than just glossy flyers, slick websites and quirky tweets...it's about what a business wants to acheive and getting reuturn on investment. That continues to be our mantra today. Now, having grown into a small team of dedicated marketing professionals, we offer a wide range of marketing and graphic design support for your business. Our values are also an important and key part to the Purple Robot ethos and our identity as a business. Giving back to the local community, charity, and developing our own team is built into our DNA. Purple Robot believes in looking after our own team, our clients and the world around us. We have made a commitment to invest in the development of all members of our team, play an active role in our local community, to do our part in raising money for good casuses, and ensure we take steps to reduce our impact on the environment. Purple Robot also believes that Lincolnshire has a proud heritage, and we love to support and work with local businesses and organisations which celebrate the great traditions of our county. Established in 1921, R G Carter is a family owned business which has been building for the future for nearly a century. Renowned for our diverse range of high quality construction services, we have achieved growth & success through combining traditional family values with a passion for innovation. Working with national and regional clients, across both private and public sectors, we provide design, construction and project management services on projects ranging from £50,000 to over £50 million. Our values are based upon honesty, trust and the development of long term relationships, and we are committed to placing client values at the heart of our operations. Our approach to project delivery makes us able to offer a flexible, quality service that is tailored to the requirements of our clients. Through our network of regional offices, including Lincoln, we offer a range of construction solutions, from design through to build, refurbishment and repairs. Our business model continues to be based on local delivery with empowered local decision makers and close senior level support for projects. Our ability to draw on the experience and expertise of the wider R G Carter Group of companies, means that we can offer a personal approach that is built around the Employers needs without restriction on value or construction type. We support local communities, organisations, and supply-chain partners to deliver projects that improve lives and provide opportunities for local people. On all of our projects we seek to work collaboratively in order to create better buildings, provide opportunities for local people and invest in the future of the communities that we work with. We set the bar high for safety, sustainability and corporate social responsibility. Through our accredited training centre, Carter Academy, we are a leading provider of quality apprenticeships and professional training regionally. R G Carter currently has 1,100 members of staff, ranging across office and site based roles. Examples of these include administrators, procurement and accountants who support the successful management of projects, project managers who coordinate all aspects of the construction process, designers who work with the clients to create their ‘vision’, quantity surveyors, who manage the costs related to the project and tradesmen, through to site managers and skilled tradesman, such as bricklayers and carpenters, who ensure projects are built to client requirements. Our employees work across our range of offices and sites across the Group. We are passionate about supporting our employees, whose loyalty and expertise allows us to consistently deliver successful projects to be proud of. We invest in training and development and aim to inspire people with the right skills, talent and enthusiasm to work with us to fulfil their potential. To demonstrate our commitment, everyone who joins our company has access to our CITB registered training centre, Carter Academy, offering Health & Safety qualifications and a variety of courses from NVQ to degree level. We look for motivated and enthusiastic people to join our teams. Dependant on the role, ideal candidates will have good experience of team working and delivering construction projects to excellent quality. We understand that great projects need great people. Whether you are looking for a training opportunity, or are already experienced in your role, R G Carter offers more than just the next step in your career. You will be joining a diverse group of talented people and with the addition of your ideas, passion and skills we can develop, innovate and build the future together. R G Carter is a dynamic company where you will have the chance to prove yourself on challenging projects, further develop your skills and work with experienced construction professionals. The construction industry is unique; with so many career options that combines a range of skills and interests. Whether you’re interested in building, engineering, science or design, at R G Carter we can offer a variety of different rewarding, challenging roles to help develop your skills and start a successful and exciting career in construction. The world around us is always changing. New buildings are designed, new developments planned, old buildings redeveloped and modernised. Modern machinery is required for transport options, to build our digital devices, and to create power for our digital world. This world needs protecting, we must use energy wisely, avoid changing our environment, and remove all toxins and hazardous waste. There are many businesses in the industries building the modern world. The Rilmac Group of Companies for example, focussing on construction and steel engineering nationwide from our headquarters in Lincoln. Rilmac has grown from humble beginnings of three men and a van in 1957 to become a market leader of Asbestos Services, Fabrication, Insulation and Scaffolding. The premier land-based college in the UK’s most important agricultural county. Situated in the centre of Lincolnshire, just three miles north of Lincoln, Riseholme College specialises in agriculture, equine and animal management training and education. Our programmes, both full-time and work-based, have been developed to meet the demands of the rapidly changing rural economy. Students have access to a range of modern learning facilities and accommodation is available on campus. Riseholme has been the site of training and education for the land-based industries for more than 50 years and, with millions being invested in state-of-the-art facilities, we’re taking the college into the next generation in the UK’s most important agricultural county. Our students' success is our main priority and employability is the name of the game! We provide all our students with the practical skills they need on industry-specific courses to go on and excel in their chosen field. And if you want the best place to study, we’re top of the crop! Our league ranking makes us (including Bishop Burton College) the best land-based college in the country. Safelincs, based in Alford, is the UK’s most progressive and customer focussed fire safety provider offering over 4000 products and services not only in the UK but also in Ireland, Germany, France and Italy. A winner of several customer care awards, Safelincs prides itself on its total commitment to customer satisfaction. Safelincs also operates the UK’s largest online fire safety portal, offering not only best quality products at reasonable prices but also making best use of internet technology to offer our customer free services, such as test reminders, free log books and fire risk assessment tools. Scaman's Eggs is a small, family-run business that sells quality, locally-produced fresh free-range eggs. The business, which has been running for five years, is based in farmland in Little Grimsby, on the edge of the Lincolnshire Wolds countryside. Our passion is for great tasting eggs, which are produced by our free range hens on the Scaman farm, where they can enjoy the great outdoors and lead long and happy lives. These eggs are then delivered to a variety of businesses across Lincolnshire and beyond, from farm shops, bakeries and retail shops to independent chefs, schools, restaurants and holiday parks. We're committed to excellence, and are proud to have been named Producer of the Year 2016 Select Lincolnshire Food & Drink Awards, and crowned Select Lincolnshire's People's Choice award winner 2017. Scaman's Eggs currently employs four people; two warehouse operatives who weigh, sort and package the eggs, assuring quality at every stage, a driver who delivers the eggs to customers, and the Managing Director, Simone, who runs the business. From day one, our staff are encouraged to take part in training programmes, even incorporating other elements into training that would enhance a staff members career. Qualifications include Warehouse & Storage Skills, Manual Handling, Food Safety, Forklift Operators License, Team Leading and First Aid. In our staff, we look for team members who are hard-working, passionate about learning and care greatly for the quality that we produce. The employees at Scaman's say they enjoy working with a great, close team and that they are lucky to have a good relationship with the 'boss'. As well as working hard within the warehouse, the team will attend local award ceremonies and events with Simone to show their commitment to the business. It's a very eggciting time for the egg industry! In January 2018, it was announced that egg sales had topped £6billion for the first time in 60 years, with more and more people opting for a healthy, filling breakfast and brunch food. This followed the news that raw, runny eggs are now considered safe for expecting mothers, young children and the elderly to eat. This growing, positive news creates great opportunities for local egg producers and sellers across the UK. The Development and Quality Assurance team at Selenity are responsible for planning, designing and creating our cloud solutions that make expenses fun and create a smooth employee relations experience for our customers. Business Support play a fundamental role in maintaining the financial security of Selenity; responsible for the efficient administration of the company and ensuring compliance with statutory and regulatory requirements. The Sales & Marketing team work together to increase brand awareness of Selenity's products and services to customers and prospects and play a key role in generating income and revenue. The team use their passion, dedication and experience to drive forward sales and the Selenity brand. The Service Desk provides exceptional support for our customers, and continues to exceed expectations with regard to service and support – something that has been the foundation of Selenity since it began in 1989. The Professional Services team work closely with our customers to implement our online solutions and services, ensuring successful delivery so the benefits can be realised as soon as possible. Internships may be available across all of our areas of business. If you are interested in joining an innovative organisation we welcome your CV, along with your reasons for wanting to join an internship programme at our company. Siemens might be a global employer but it firmly believes in the value of 'growing its own' talent from local communities. Siemens Industrial Turbomachinery Ltd is based in Lincoln. Apprenticeships are a vital tool in this process. As part of National Apprenticeship week, which runs from March 6 to March 10, Lincolnshire Live spoke to enthusiastic apprentices about their time at the firm's Lincoln Main Works site and also spoke to a former apprentice who has now made his way to the top of the career. Siemens was established in the United Kingdom 169 years ago and now employs 12,972 people in the UK. Last year’s revenues were £4.4 billion. As a leading global engineering and technology services company, Siemens provides innovative solutions to help tackle the world’s major challenges, across the key sectors of energy, industry, infrastructure & cities and healthcare. Siemens has offices and factories throughout the UK, with its headquarters in Frimley, Surrey. The company’s global headquarters is in Munich, Germany. Established in 1944, Simons has been offering property solutions tailored to specific needs for over 70 years. We're a long established, family owned business based in Lincoln; focusing on retail, distribution and health. Building Greener is our way of making sure we consider the pillars of sustainability in everything we do. We have annual reduction targets for energy, waste, water, carbon, biodiversity, procurement and we aim to send the absolute minimum of waste to landfill. We're a social research and marketing agency set up to make the world a better place. We help solve society's toughest issues and we are proud to say that we have saved society millions through groundbreaking research and award winning campaigns and change programmes. We employ researchers, behavioural scientists, psychologists, marketers, communications and PR professionals, digital content creators, designers and account managers. Everything we do is in pursuit of making the world a better place. If you want to use your skills and talent for good - this is the place to work. We are a leading behaviour change agency in the UK. Behaviour change and social marketing is increasingly being used across industries to engage people and is fast becoming a force for good. We are increasingly using digital tools and techniques and experiencing in digital behaviour change to make the world a better place - so lots of new products to help us lead a happier and healthier life. Since 1956, they've have been supplying farmers, estates, contractors and local authorities with a comprehensive range of agriculture and groundcare products becoming Europe’s leading distributor of agricultural equipment, parts and tools. And they are still based in Lincoln. They have a 40-strong Field Sales team backed by 30 telesales staff and 7 Customer Service personnel. All of our people are experienced in sourcing the right product for the right customer, and are always happy to lend their knowledge and expertise to help you find the agricultural supplies you’re looking for. Operating out of a 50,000 square foot warehouse and serving over 30,000 Agricultural and 4,000 Groundcare customers in the UK and Ireland, Spaldings has grown to become one of the largest agricultural dealers in the UK. And, with over 60 years’ experience dealing in farm and groundcare equipment, we can help your business source the tools, supplies and equipment it needs quickly and efficiently. SPARK! Engineering Festival is back for 2019 and promises to be even bigger and better than in previous years. For the first time, SPARK! 2019 will incorporate Civil Engineering to celebrate and showcase the marvellous achievements of this discipline. This ties in nicely with the construction of Lincoln’s new Eastern Bypass and the many challenges it presents. The magnificent event setting of Lincoln Cathedral is a Civil Engineering masterpiece in its own right. the application of scientific knowledge, mathematics and ingenuity to develop solutions for technical, societal and commercial problems to help imrpove people's lives and advance humanity. Throughout history, engineering has been an integral part of life in Lincoln and the the surrounding area. From the time the Romans built a fortress overlooking the Witham, the creation of the Fossdyke Canal, through the construction of the castle and catherdrl, to the industrial revolution and the "founding fathers" of Lincoln's proud engineering tradition- Nathaniel Clayton, Joseph Shuttleworth, William Foster, Joseph Ruston and Robert Robey- and to today's leading engineering communicty, Lincoln's engineers have applied their knowledge and ingenuity to shape the world. As you follow our journey through history to the present day, you will see how our local engineering community has developed and continues to flourish. We have world leading people and world beating engineering businesses, teachers, researches and technologisits who are applying their knowledge and skills to innovate, design, create and supply the best engineering people, services and products worldwide. Let our story spark your imagination as it has insoired thousands of people to amrvel at our engineering acheivements and ingenuity of our local heroes and how they have changed our lives. We're proud to be the UK's fastest growing retailer of motorcycle clothing and accessories. Over the last 12 years we've transformed from a spare bedroom business into the biggest online motorcycle clothing and accessories retailer in the UK. How? It's really quite simple. We've focused all our energy on delighting our customers again and again with the highest quality products, the fastest delivery and good honest advice. Our passion for our customers is what has enabled us to get to where we are today and we have no plans to stop there! We hire staff who are excited about our products and are keen to get our customers excited too! We are Lincolnshire's leading independent hospice, committed to providing the highest standard of medical and nursing care for patients living with life limiting illnesses. The hospice has touched the lives of over 39,000 patients and their families since we became one of the first in the UK to open our doors in 1982. And thanks to the generosity of the community, and the skills of our staff and volunteers, we remain at the national forefront of personalised and high quality patient care ever since. We have grown into one of the country’s biggest and most successful providers of specialist healthcare and as we celebrate our 30th anniversary we will draw upon the expertise and innovation built up by our staff and volunteers over the past three decades to shape quality care over the next 30 years. Our care is free to all and over half of the costs of £6.8 million a year rely on public donations (both money and goods for shops), fundraising and gifts in wills. Without this support we could not provide the care and support that we pride ourselves on. We are part of Stagecoach Group which is a National and International Public Transport Operator. Our region covers Lincolnshire, North Lincolnshire, North East Lincolnshire and Nottinghamshire as well as parts of East Yorkshire, Derbyshire and South Yorkshire. Our Head Office is in Lincoln and we move our customers around the region with connections to major cities as well as the many market towns in the area. Our local history can be traced back to the 1900's and earlier in some parts of the region. Our business is relied upon to keep the wheels of the region turning, be that for commerce, industry, education and leisure. We operate on 362 days of the year serving our customers throughout the area. The majority of our employees are drivers although we also have an excellent team of engineers supporting our operations. There are, of course, Managers, Supervisors and administration staff to ensure that the business runs at its best. Currently, we employ just over 1250 staff of which 950 are drivers. We need our drivers to be caring, considerate and understand our customers needs. They need to be ambassadors for Stagecoach becuase, to our customers, they ARE Stagecoach. We are a good company to work for. We look after our staff and ensure that they are working in a pleasant environment. Every day is different with different customers, challenges and scenery! We are becoming a more digitalised industry. We have Automatic Vehicle Locators which feed information to the website, which in turn, feeds the Stagecoach App, which means that our customers can see where their bus is in relation to the stop where they are waiting. We are currently launching Contactless as a payment method which should increase our punctuality and make it easier for both our customers and our drivers. We roast coffee and blend tea in our roastery in uphill Lincoln. We also have a Barista Training Centre for coffee enthusiasts and budding baristas, as well as The Blue Room which hosts music events, plays and weddings. We sell our tea, coffee and machines whole sale and provide an engineer service for the maintenance of the machines. We have three Lincoln cafés - Collection, Lawn and High Bridge, which serve food and our signature teas and coffees. We have been running since 1902. We are based at The Lawn, Union Road, Lincoln. The most unusual job probably belongs to Mike, our head roaster. We currently employ around 80 members of staff. We also employ baristas, chefs, waiting staff, machine engineers. We like our staff to be friendly, professional and passionate about coffee. "I enjoy working for Stokes because every day is different - from coffee packing to the Blue Room to the cafés, there is such a variety of things to do that you never get bored. " Our people are approachable and trustworthy - true specialists, for whom reputation, relationships, innovation and service is balanced with intelligence, knowledge, professionalism and a thoughtful approach to work. Strutt & Parker’s residential, rural, development and planning teams will continue to operate under the Strutt & Parker brand, whilst the commercial arm of the business will operate under the BNP Paribas Real Estate brand. Every year we hand-pick a number of Graduates who we believe have the ambition and talent to play a key part in the future of our expanding business. As a partnership we have a culture of respect for each other’s knowledge and expertise. We educate, train and nurture our people, and actively engage in social programmes. One of our core values is based on the trust placed in us by our clients and by our colleagues. We actively seek to avoid conflicts of interest. Over the changing landscape of the past 125 years, we have grown and developed into new disciplines. The partnership between ourselves, our staff and our clients has always been at the heart of what we do. An encapsulation of our beliefs, it informs how we conduct ourselves as a business and as individuals. We ensure we deliver our services diligently, creatively and intelligently, with an absolute focus on our clients. We like to celebrate our past successes, whilst keeping our focus on the future. We apply the highest standards of expertise to all our activities to achieve the best results. Our working environments are fun and friendly, while also professional and hardworking. Ours is a collaborative environment which encourages ideas, innovation and discussion. Supported through the opportunities of progression and personal development, our people tend to stay with us for many years. Located in a courtyard just off Ironmonger Street in the centre of Stamford, Tatums Bistro offers relaxed & comfortable dining, serving good British food, sourcing quality local produce served in a modern & imaginative way. Throughout time the boar has been a potent symbol of courage and prowess to many cultures around the world. So all in all, we thought it would fit nicely as the name for our restaurant. We hand pick and train our staff to support us in ensuring that you are welcome in our unique restaurant, enjoy quality service and savour our dishes in a relaxed atmosphere. Our meats and vegetables are sourced locally, our fish comes from renewable sources and from the British shores whenever feasible. Our choice of wines is based on the recommendation of a sommelier to offer choices from the old world and a couple from the new world that would enhance our dishes. The name “The Bronze Pig” unites Pompeo’s Italian National origins, the celebration of a long standing and loyal friend with a profound love of pigs and boars and the fact the we are based in Lincoln. The Order of St Johns have homes across the UK and have a Regional Operation office and Support centre in Lincoln. Providing care in 69 care homes in Lincolnshire, Oxfordshire, Gloucestershire and Wiltshire, with one home located in Arundel, West Sussex. Also, they offer a domiciliary care service in 14 extra care housing schemes in Oxfordshire, Wiltshire and Bury St Edmunds, Suffolk. They employ approximately 4,000 staff and support over 3,500 residents. There residents are at the heart of everything we do and their well-being is paramount. They pride ourselves on delivering care to the highest standards. They believe in person centred care. This means we try to learn as much as possible about each individual who lives with us so that we can provide them with care and support tailored to their particular needs and preferences. We also believe that our residents and day care visitors should enjoy life in an atmosphere of warmth, harmony and understanding, being cared for by people who appreciate their need for privacy and who will respect their dignity and freedom of choice. We are family based on a real working farm. Our values include honesty and integrity both in the food we serve and how we treat each other. Ego's need not apply! We employ 38 full and part time people and more seasonally in the school holidays. We are looking for upbeat, smiley people to work with our customers, we hire for attitude and then train in house. We are also looking for experienced catering staff to create amazing food in our three kitchens. We put on shows in school holidays so dressing up is a requirement for some. We always needs Santas! We have the Greedy Pig Cafe and tea room with a 'food from the farm' section where you can buy homemade sausages, bacon, cakes, egg, beers and jams and other local goodies. We have indoor and outdoor play for children including a soft play and a brand new indoor 'imaginative play'. Our farm trail outdoors takes you to see our animals and you can take a trailer ride to see the pigs and cuddle our smaller animals. Tourism seems to be increasing in the area and this is a market that we need to embrace as well as looking after our local people. The Retail Data Partnership Ltd was established in 1997 to develop our ShopMate EpoS system. The name of the business says a lot about us. We are firmly committed to serving the independent retail sector. We believe that if retailers are to manage their businesses effectively in these days of tough competition, they need up to date and accurate data about their sales, profits, stock etc. Partnership is a crucial part of our business. In order to make the most of our approach to EpoS systems, we have built strong relationships and partnerships with wholesalers and retailers. We need the wholesalers to give us price files so that we can provide them to the retailers. We need the retailers to work with us to give us feedback on how to improve our EpoS systems and services. We employ 61 people in a variety of roles like Customer Service, Customer Support, Marketing, and Software Development to name but a few. It is just as important to us that a new employee’s personality fits with the team they will be working in as to whether they can do the job required. At the moment we are recruiting for an installer based in Lanarkshire and our Head of Operations has traveled to Glasgow to interview. We would like our employees to live, whilst at work, by these values and the values are embedded into our culture. Whilst we may not pay top dollar we believe we offer something unique. The company and employees work in partnership to make a really good environment to work in with a give and take attitude. We are always looking at ways of improving our offering to the retail sector by either improving our products & services or by partnering with other providers such as Barclaycard, Worldpay, Netpay, ePay etc. We are the UK's largest woodland conservation charity, we've planted 36 million trees since 1972 and we’re recruiting. Work across multiple woodland sites, organise a national appeal, take care of our accounts or help support our growing workforce. As part of our employment we offer a benefits package including; life assurance, a 6% employer contribution into a personal pension, childcare vouchers, a cycle to work scheme, copious amounts of office cake and plenty of opportunities to get out and about in the woods. Whatever you do at the Woodland Trust you will be supporting our work to protect trees and woods. Tillotts Pharma UK Ltd (TPUK) is a wholly owned subsidiary of Tillotts Pharma AG, Switzerland (TPAG), and part of the Zeria Group of companies, Japan. We have R&D sites in Switzerland, manufacturing sites in Europe. TPUK operates sales and marketing, regulatory affairs and Medical and Scientific liaison services for GI specialists in the UK. Tillotts is a speciality pharmaceutical business focused on GI health. The pharmaceutical sector requires professionals of the highest standard, what we do affects the lives of our patients, it is a worldwide business, diseases do not respect national boundaries, this means that although we are business based in Lincoln, our activities take place anywhere in the world. The world of pharmaceuticals is very competitive as the rewards for success are high, pharmaceutical companies are usually very good employers offering interesting work, worldwide travel excellent conditions of employment and good rewards. This also means we attract high calibre people. The pharmaceutical sector is governed by a voluntary regulatory scheme which also means that we work to high ethical standards. Tillotts Pharma UK Ltd has a reputation as a great place to work, everyone has variety in their work with freedom and autonomy to achieve their objectives. No two days are the same, everyday brings new opportunities and challenges, because of this we do a lot of work place training and place much emphasis on keeping up to date with medical practice in the treatment of GI diseases. Teamwork is an essential part of the job, and although most people work unsupervised and on their own initiative we are very interdependent on each other, everyone plays their part so that the business as a whole is a success. The pharmaceutical sector is at the forefront of technology and innovation, it is one of the most successful British industries, exporting more than we import. The work ranges from scientific research, product development and improvement through to high-tech manufacturing. The objectives of the industry is to improve health outcomes, despite what the media likes to portray in newspapers and films, nobody sets out to do harm, we are focused on improving lives. The fate of a pharmaceutical firm is very dependent on the success of the firms most recent pharmaceutical product, this drives innovation and means that all pharmaceutical companies are looking for the next new development. The range of roles in pharmaceutical companies varies from very scientific lab based R&D positions that attract introspective scientists through to PR and marketing positions that require out-going and dynamic communicators. Careers in pharmaceutical companies are life long, many people join in one role and move into new challenging positions as their careers progress. I began my career 30 years ago as a trainee medical sales representative, I am now the Managing Director of a dynamic and growing medium sized pharmaceutical company. Based in Spilsby, with an annual turnover of over £13 million, and engineering roots dating back to 1930, Tong Engineering has over 85 years of experience in manufacturing robust and reliable vegetable handling equipment, from single machines to full bespoke systems. Now exporting world-class equipment to more than 50 countries worldwide, Tong offers a vegetable handling solution for a wide range of fruit and vegetables, from potatoes, onions and carrots, to parsnips, Brussel sprouts, swedes and more. Tong Engineering clients include UK and overseas vegetable growers and farmers, vegetable fresh pack companies who process the world's vegetable supply from field to fork. With Tong's range of custom-built equipment crossing mechanical, electronic, welding, fabrication, sheet metal, 3D CAD design and sales divisions, Tong offers those with a hands-on attitude, job and career opportunities across a wide range of disciplines. We are also proud to offer a strong apprenticeship scheme across many divisions and always like to hear from young individuals who are interested in a career in engineering and would like to learn the trade whilst working on the job. We have a strong engineering heritage with a wide portfolio of job roles and are always looking for new talent to join our team. As a family-run business now in its fourth generation, Tong Engineering is extremely proud that our factory offers a place of work for local people, where it’s not just a job, it’s a passion to achieve the best. With so many of our people dedicating their entire career, from apprenticeship to retirement, to be part of the Tong Engineering team, it’s a testament to the great culture the company is built upon, and the commitment we share. Tong Engineering treats its people as individuals, and the lifeblood of what we achieve together. The custom-built nature of the equipment Tong manufactures means no two projects are ever the same... resulting in a very interesting, challenging and varied working environment, with something different to achieve every day. Uncle Henry’s is a farm shop, butchery and cafe located next to the village of Grayingham. It is part of a family arable and pig farming business and is managed by Emma Blandford, daughter of owners Steve and Meryl Ward. We major on great taste and sourcing local. Our shop and butchery offer the full range and we are proud to support over 45 Lincolnshire producers; our local food heroes! We see ourselves as a hub of local food and an outlet for local food businesses to showcase their product. We produce and make many of the products that we sell ourselves and we’re always developing new lines to add to our range. All of our pork is home reared and we buy in beef, lamb & poultry locally and butcher it ourselves. Our butchery team cure our own bacon and ham and produce many added value cuts and products including our BBC One Show Award Winning Lincolnshire Sausage. We have been working with the Lincolnshire CO-OP for over a year now, initially wholesaling our cooked ham and pork into their stores under the Uncle Henry’s brand and this year expanding our range to include Caramelised Onion Sausages, Lincolnshire Sausagesand our home-cured Traditional Short Back Bacon. All of our efforts would not be possible without our dedicated team who are local people themselves and are essential to our business success. We recruit people who are passionate about food and our business. Over the years, we have established managers of the three core budget departments; shop, café and butchery. The staffing that is below management level is based around setting up full and part-time positions. These give member of the team hours that they are comfortable working and benefit the business through acquiring a flexible workforce that can respond to periods of high customer demand. Our young weekend team are a valuable part of the business and are expected to take a high degree of responsibility whilst benefiting by building up key life skills. We invest in their training and development and make Uncle Henry’s an enjoyable place to work. Training requirements are tailored to the individual at management level and our front of house team have an on-going customer service development training programme. Aside from staff training around our customer care requirements, we hold a team brief each morning to discuss any previous challenges and what’s happening throughout the day ahead. We are continually building staff product knowledge and are helped by suppliers coming into store for samplings. We also have our own monthly mystery shopper which is an invaluable tool for continuous training and development and provides a great opportunity to reward good service. Our plan for this year, in order to grow our business further, is to focus on continuing to attract both new and also our regular loyal customers but also to promote the great value of our fantastic food offer to our customers. We are continuing to grow our image as a destination for all age groups and working with key partners such as Visit Lincoln over the past year is a key element in our strategic planning process as we continually work on achieving this. This year Vertivore has hit a big milestone; after two years researching and developing the concept of vertical farming the planning application for our first commercial scale site (in Crowland, Lincolnshire) has been approved. We anticipate starting construction late 2019, with the aim of being operational by 2020. Our vertical farm has been designed to ensure consistent quality and improved taste. Each of our plants is treated to five-star accommodation throughout their lifespan. Bedded into the finest substrate our seeds begin their journey in a cozy germination chamber. Then, not wanting to cramp their style, our herbs and salads are transplanted into trays where they are remotely shunted and spaced. This allows them to spread their leaves and mature into the young plants they were destined to be. What is a Vertical Farm? An efficient and productive vertically-arranged indoor growing facility using LED lighting and a climate controlled system to provide optimum crop growth. A consistently high standard of fresh, healthy and sustainable produce can be supplied to the market 365 days a year. With the global population expected to exceed 8.5 billion and the UK population forecasted to exceed 70+million by 2030, the strain on farming is worsening. Soil is becoming unsuitable for healthy crop production and space for agricultural land is running out. In the UK, we are experiencing warmer winters, drier summers and more extreme events which are affecting crop growth. The environmental impact of current agricultural practices is huge, using around 70% of available freshwater, and with 95% of fruit coming from abroad, each item on the supermarket shelves travels approximately 1500 miles before reaching the end consumer. The destruction of ecosystems and impact of pesticides is causing further damage to our world and the food we eat. It’s now been nearly three decades since we opened the very first Vision Express store in Gateshead’s Metro Centre. We’ve come a very long way since then. But our guiding principle remains the same. And that’s to provide an unparalleled level of customer service. A truly individual service, delivered in a professional yet welcoming environment where vision is taken seriously. Through organic growth and acquisition there are now 593 Vision Express stores across the UK, Jersey and the Republic of Ireland – from big city destinations to local high street stores. Following our recent acquisition of Tesco Opticians, you’ll now find us in Tesco stores too. We’re passionate about service, our products and our workplace. We’re positive, enthusiastic and engaging. We always put our customers first and put 100% into making sure they look and feel great. Providing a genuine, caring service, we make everyone feel welcome. We engage customers with warmth, sincerity and expertise – taking a real interest in their individual needs and taking time to explain our service and products. Without seamless teamwork, we just couldn’t deliver the outstanding level of customer service for which we’re known. We respect professional standards and each other. We always do what we say we’ll do and help out wherever we can. Training and development at Vision Express will support your ongoing success in what could be a rewarding and unique career. It will also see you become an expert at delivering a truly individual service. Learning here is interesting, interactive and informative. It’s also fun. Whatever your role when you start, we’ll equip you with the skills, knowledge and confidence you need to take your career in the right direction. Starting with a thorough introduction to our business, we’ve put in place a number of training programmes designed to recognise and realise true potential. Their effectiveness is reflected in the fact that nearly 80% of our managers are in place through internal promotion. We’re proud to be backing the 5% Club – a nationwide initiative which sees employers commit to having at least 5% of their workforce aged between 16 and 24 on a structured training programme. We’re proud to say that the figure at Vision Express is now closer to 5.5%. We’re the first retailer to promise to provide support and training for our graduates, apprentices and sponsored students. For enthusiastic young people we offer a 13-month apprenticeship programme that will give them lots of useful skills and valuable retail experience, plus a Level 2 qualification in Optical Retail and the foundations of a successful future career. An independent, family owned hotel on the outskirts of Lincoln. With 20 bedrooms and three function rooms the hotel specialises in hosting exclusive use weddings and numerous other events from corporate meetings to birthday parties to charity events to funeral wakes. The hotel was awarded Hotel of the Year 2018 in the Lincolnshire Tourism Awards and also Hotel of the Year 2018 in the Tastes of Excellence Awards. The restaurant within the hotel is awarded 2 AA Rosettes for its culinary excellence. We employ a wide mixture of wonderful people aged between 13 and 78. Job roles include Chefs, Front of House Assistants, Housekeepers, Gardeners, Maintenance, Receptionists, Wedding Planners.We have a friendly workforce and tend to attract individuals who take great pride in their work and the building in which they work. We have a strong team environment. It's an exciting industry as no two days are the same and most people like to be kept busy - which is normally the case here. Nobody likes a day to drag! The Water Management Alliance (WMA) is a group of like-minded Internal Drainage Boards (known as IDBs) operating in the Anglian Region. We are building resource and capacity in the Anglian region in order to meet the challenges of climate change, sustainable water and flood risk management. The WMA works closely with our IDB’s, partners, communities and individuals to secure new funding streams and deliver innovative approaches at a local level. We welcome partnership approaches and aim to deliver value for money projects using local expertise and experience. Did you know Internal Drainage Boards…? date back some 900 years and are one of Europe’s oldest water management organisations. have statutory powers to undertake flood defence and water management works. aim to manage water levels and flood risk management for people and wildlife sustainably and aim to limit impacts of flood and drought within their drainage districts. are collectively one of the biggest managers of freshwaters and wetlands in the UK. manage drainage districts that cover 10% of the land in England and Wales. manage and maintain over 500 pumping stations, 22,000 km of watercourse and numerous sluices and weirs for people and wildlife. The Water Management Alliance works for and on behalf of other Flood Risk Management Authorities as well as community groups, NGO’s and landowners. We also deliver significant flood risk management benefits and enhanced environmental outcomes on the ground. Our members are all independent and democratically accountable statutory bodies who seek to protect some 548,000 hectares in East Anglia. The WMA Eastern Drainage Boards include the Broads IDB, East Suffolk IDB and the Norfolk Rivers IDB. This includes some of the most fertile arable land in the world and is widely recognised as the bread basket of Britain. The area is home to around 60,000 people, a thriving local economy and an increasingly popular tourist destination that attracts visitors from around the country. The area is both locally and nationally important and worth the cost of defending and protecting, now and in future. Although the entire area is at considerable theoretical risk of river flooding and inundation from the sea, the actual risk is substantially reduced by the work that we do in partnership with Local Authorities, the Environment Agency and Natural England. The area's full watershed catchment area draining to the Drainage District is the same as the Drainage District, which means that we can provide a better service than we might otherwise be able to: this is because we are not compelled to take surface water from outside the Drainage District that we have no control over. This gives us an advantage in being able to protect the people of South Holland and reduce the risk of flooding. If you choose to work for the WMA or any of its Member Boards you will be joining an organisation which is striving to provide employees with a positive employment experience. Whether you work for us as a digger driver or as a member of the senior management team, there will be a considerable variety of challenges in your diverse workload and you will be offered real opportunities for career development. Wilkin Chapman LLP is the largest law firm in Lincolnshire and East Yorkshire. We provide a wide range of legal services for both businesses and individuals. Above all we aim to provide all our clients with quality legal advice and a personal service that offers value for money. We have a network of seven offices covering the region, located in Grimsby, Lincoln, Beverley, Louth, Alford, Horncastle and Sheffield. As a full-service legal practice, we recruit for a wide range of opportunities. We are a modern forward thinking law firm whose reputation has been built up over many years. Exceeding our clients’ expectations in terms of the quality of service we offer is particularly important to us, which is why we have specialist lawyers who deal exclusively in their respective areas of law. One of our key strengths is working together as a firm. We have a friendly and professional working environment which focuses heavily on a teamwork approach and trainees are highly valued team members. Our values are the bedrock of Wilkin Chapman. They define who and what we are. They underpin everything that we do. By working as a team with others and playing to our individual strengths, we deliver the best possible results for our clients. We don't hide behind jargon or behave indifferently. Our enthusiasm and approachability sets us apart, helping us to get the job done quickly and efficiently with a smile on our faces. We're open to change, inquisitive and hungry to find ways to improve. We focus on creating new approaches to make things better, faster and more cost effective. Our clients' success is our success and this drives us forward. We always put our clients first, by understanding their objectives and doing everything we can to help them. Established in January 2000, we are an award winning business supplying top Quality fruit to the UK's leading supermarkets.Specialising in apples, pears and avocados and with offices in Spalding, Lincolnshire and Whitstable, Kent, we employ in the region of 250 staff and turnover £114 million per annum. Product is sourced from top quality suppliers in the UK, New Zealand, South America, South Africa, USA and Europe. Our Packhouse at Spalding handles 4.4 million cases per annum which equates to 52.8 million packs. Many organisations claim people are their greatest asset, but our Investor In People silver award in March 2014, and the FPC Fresh Awards Best Place to Work award in June 2014 confirms staff really are at the top of our agenda. Our four Company values were chosen in consultation with our people and they chose - Passion - Quality - Innovation - Together. Our Company mission is to be "Customers First Choice". With the introduction of a coaching culture and the development of a lean production system, continuous improvement is how we do business. We have 7,640 talented people in a network of offices across the UK united by our values: collaboration, innovation, pride, and passion for our work. We engineer projects that will help societies grow for lifetimes to come. Our Lincoln office forms part of the Lincolnshire Highways Alliance Design Consultancy, working alongside Lincolnshire County Council to develop a wide range of ongoing highways schemes including Lincoln Eastern Bypass, Grantham Southern Relief Road, Spalding Western Relief road and the proposed North Hykeham Relief Road. WSP is proud to support development and growth throughout Lincolnshire; and are delighted to have the opportunity to share our work on the World of Work website.